The Cardio Metabolic Institute takes pride in having some of the finest physicians and caring members in our cardiology team. Read through the impressive backgrounds of our physicians as well as our practice staff, all of whom contribute to running our Cardiology practice efficiently while providing excellent patient care. 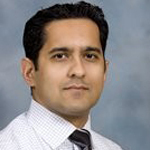 Dr. Shah joined the Heart & Vascular Center of New Brunswick in 2009. He was an attending staff cardiologist at the University Medical Center at Princeton since 2007 prior to joining the practice. 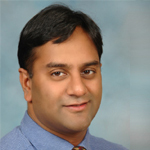 He is board-certified in Internal Medicine, Cardiovascular Medicine, and Nuclear Cardiology. 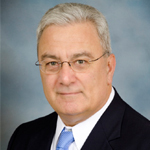 Dr. Passannante joined the Cardio Metabolic Institute in April 2013. 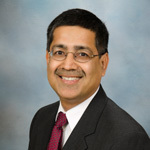 He formerly served as Managing Partner and President for over 20 years at the New Brunswick Cardiology Group, PA. Dr. Passannante served as an elected member of the Medical Executive Committee at Saint Peter’s University Hospital for nine terms and also held the position of President of the Medical Staff. He was named Chief Medical Officer of Saint Peter’s in 2011 and has held the position ever since. Dr. Patel joined the Cardio Metabolic Institute in February 2014 after practicing with the New Brunswick Cardiology Group, PA for over 8 years. He is board certified in Internal Medicine, Cardiology, Interventional Cardiology, Nuclear Cardiology, Echocardiography, Endovascular Interventions and Vascular Medicine. Dr. Keval Patel, who joined our practice in 2018, is a Cardiologist with a keen interest in general cardiovascular care, preventive cardiology, congestive heart failure, valvular heart disease, cardiovascular imaging and cardio-oncology. He is board certified in Internal Medicine and Echocardiography. He is board eligible for General Cardiology, Nuclear Cardiology and Peripheral Vascular Ultrasound. Dr. Patel is actively involved in research involving transition of care after myocardial infarctions and heart failure exacerbations. 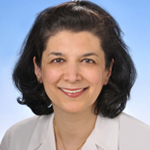 Dr. Kataneh Maleki is a Cardiac Electrophysiologist, specializing in the management of cardiac arrhythmias. She is an expert in the placement of pacemakers, defibrillators and ablation procedures. Dr. Jennifer Mazzoni joined the Cardio Metabolic Institute in July 2016 as an attending Cardiologist, Board Certified in Cardiovascular Medicine & Nuclear Cardiology in Non-Invasive Cardiology, Cardiac Imaging & Endovascular. She served as Director of Heart Failure Services at Deborah Heart and Lung Center in Brown Mills, NJ for 10 years, attending Cardiologists and focusing on Congestive Heart Failure, Clinical and Preventative Cardiology. She also specialized in Noninvasive Imaging which includes Level II Echocardiography, Nuclear/SPECT, Multidetector CT and MRI. Dr. Naimish Baxi focuses his expertise in the subspecialty of sports medicine, spine care, pain management, and musculoskeletal medicine. He completed his residency in Physical Medicine & Rehabilitation at Mount Sinai Hospital in New York City. Following his residency, Dr. Baxi completed an Interventional Spine and Sports Medicine fellowship at Orthopedic and Spine Specialists (OSS) Health in York, Pennsylvania. Dr. Baxi remains a proponent of wellness and staying physically active and is a co-owner of a local Crossfit affiliate as well as a Crossfit Level 1 trainer. 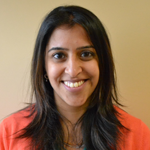 Dr. Roshni Gandhi enjoys educating her patients about their foot problems and treats with both conservative and surgical methods. 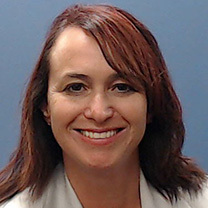 She received comprehensive training in elective forefoot and rearfoot surgical techniques, tendon and ligament injuries, trauma, flatfoot reconstruction, pediatrics, arthroscopy, and limb salvage. She has a special interest in treating sports related injuries and has the expertise to get athletes back to what they love to do.